MLS Atlanta has hired Darren Eales to be President of Major League Soccer’s 22nd team. Eales will join the club later in the following months after transitioning from his role with the Tottenham Hotspur Football Club (THFC), a world-renowned English Premier League team. Eales’ has a rich soccer background and is a former Ivy League Player of the Year, NSCAA All-America and U.S. professional soccer player. He is currently the executive director at THFC, a role where he touched on all major aspects of soccer operations, including the club’s overall soccer strategy, succession planning, player acquisitions, performance analysis, first team administration, player development, academy and medical supervision. Eales helped to negotiate and execute all player transfers, including playing a key role in the 2013 world record transfer fee sale of Gareth Bale to Real Madrid. He was closely involved in three of the top six transfers involving MLS players (Robbie Keane, Clint Dempsey and Jermain Defoe) and recently helped to complete negotiations for the transfer of United States Men’s National Team and Seattle Sounders player DeAndre Yedlin to THFC. During Eales’ four-year tenure with THFC, the team qualified for European competition every season, reached the quarterfinals of the UEFA Champions League in 2011, and reached the quarterfinals of the UEFA Europa League in 2013. Since Atlanta was awarded Major League Soccer’s 22nd team in April, excitement for the club’s arrival has been overwhelming. MLS Atlanta has already set records in fan participation, with more than 5,300 fans signed up for the Founders Club season ticket program resulting in over 15,500 seats reserved. 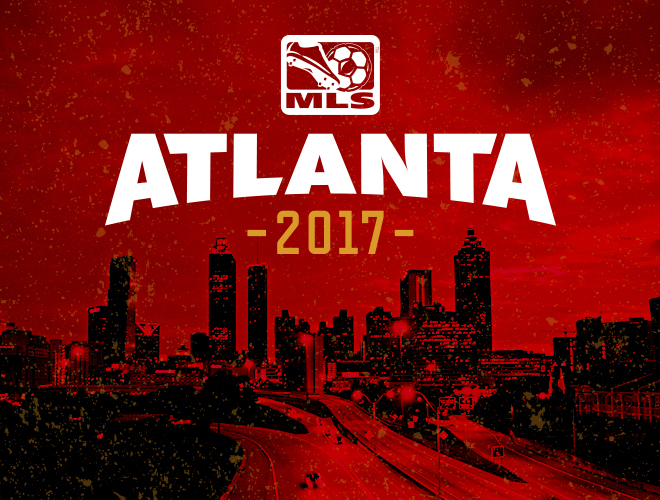 With half of the new Atlanta stadium already filled, MLS Atlanta Owner Arthur Blank recently challenged soccer fans to fill the remaining 11,000 seats by the end of the year. A barrister specializing in sports law, Eales has legal experience in a variety of areas from intellectual property and employment to contractual issues and dispute resolution. While at THFC, he served on numerous high-profile soccer governing bodies and panels across Europe and within England. Prior to joining THFC in 2010, Eales served as in-house legal counsel, director and club secretary at West Bromwich Albion Football Club (WBA) for four years. WBA is recognized within the Premier League as a well-run and financially stable club. Eales also has extensive experience in new facility development and community involvement, having participated in the final planning stages for THFC’s state-of-the-art training ground, which opened in 2012. In his role as director, Eales sat on the Technical Board of THFC’s Academy, a leading developer of youth talent, which produced five full international players between 2012 and 2014. At WBA he served as chairman of the ground-breaking Sporting Club Albion, a multi-sport community club concept, incorporating both women’s and disability teams. Raised by his father as a Chesterfield FC fan, Eales has been immersed in soccer all his life. After playing in the Academy at Cambridge United FC in England, he moved to the US on a soccer scholarship, spending one year at West Virginia University before transferring to Brown University. At Brown he went on to become Ivy League Player of the Year, NSCAA First-Team All-America, COSIDA Academic All-American of the Year and USA Today Student Athlete of the Year, before graduating with a degree in economics. In 2012, he was inducted into the Brown University Athletics Hall of Fame. Following his university play, Eales remained in the US, playing for the Hampton Roads Mariners and Hershey Wildcats in the USISL, and the New York Centaurs in the A-League. When injuries cut short his professional playing career, he returned to England and earned an MA in Law at Cambridge University. In 2000 he qualified as a barrister, and then spent six years practicing law at 2 Temple Gardens Chambers in London, where he is still a door tenant. Eales will be joined in Atlanta by his wife, Faith, and twins due to arrive in early 2015. Major League Soccer Commissioner Don Garber awarded the city of Atlanta the 22nd MLS team on April 16, 2014. The team is owned by Atlanta Falcons Owner Arthur Blank and will begin play in the new Atlanta stadium set for completion in 2017. The new Atlanta stadium will configure to MLS and FIFA requirements and will feature a draping system allowing for a more intimate, highly-charged soccer atmosphere.